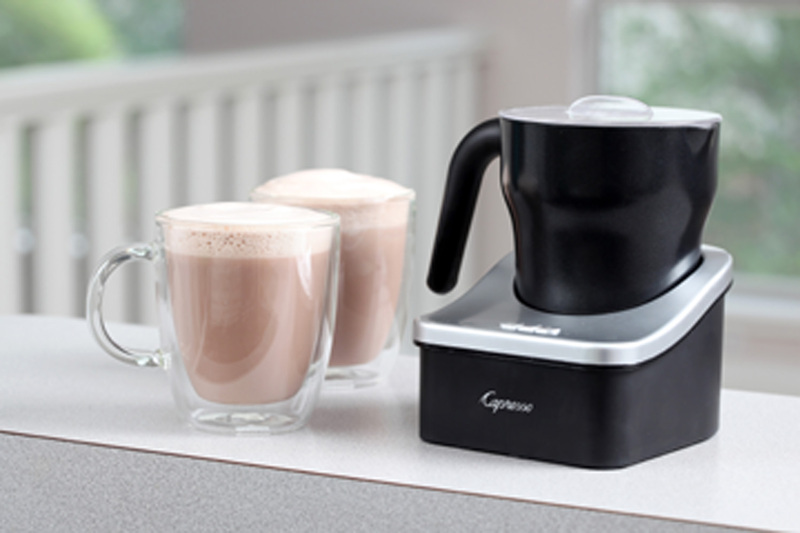 The Capresso froth PRO makes it quick and easy to whip up creamy hot chocolate. 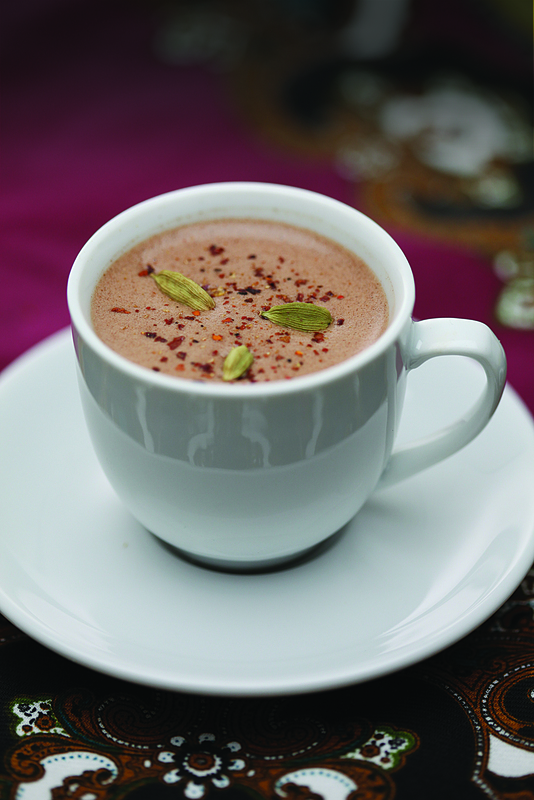 Three temperature settings – hot, warm and cold – for creating a variety of rich chocolate beverages with frothed or steamed milk. Efficient and space saving, the CoffeeTEAM TS can be programmed to grind your coffee beans and brew your coffee right before you get up in the morning. 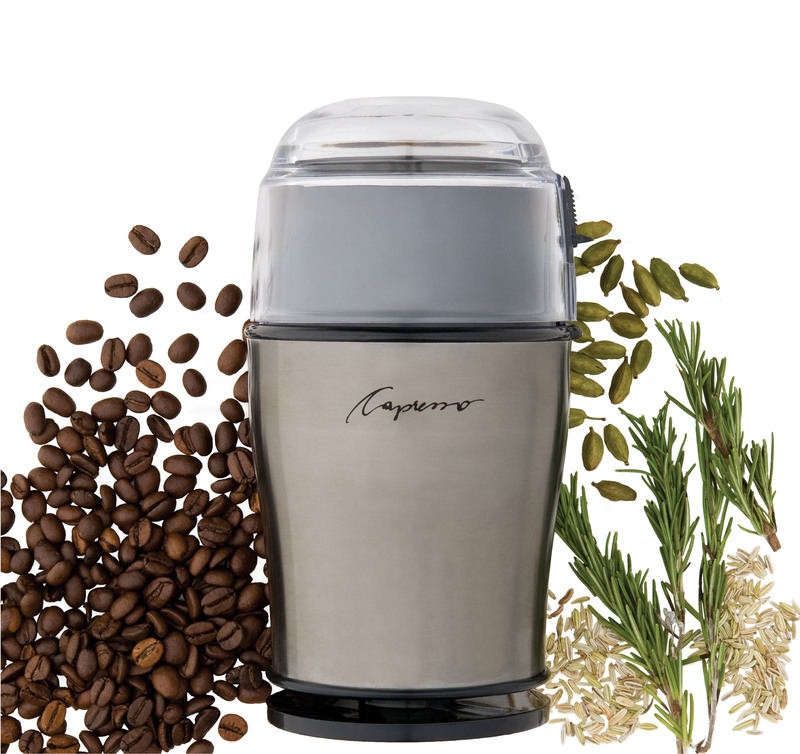 Unleash bold flavor with the Capresso Cool Grind, ideal for grinding a variety of dried spices such as peppercorns, coriander seeds, flax seeds and lavender. This versatile grinder also grinds whole coffee beans for maximum flavor and aroma. 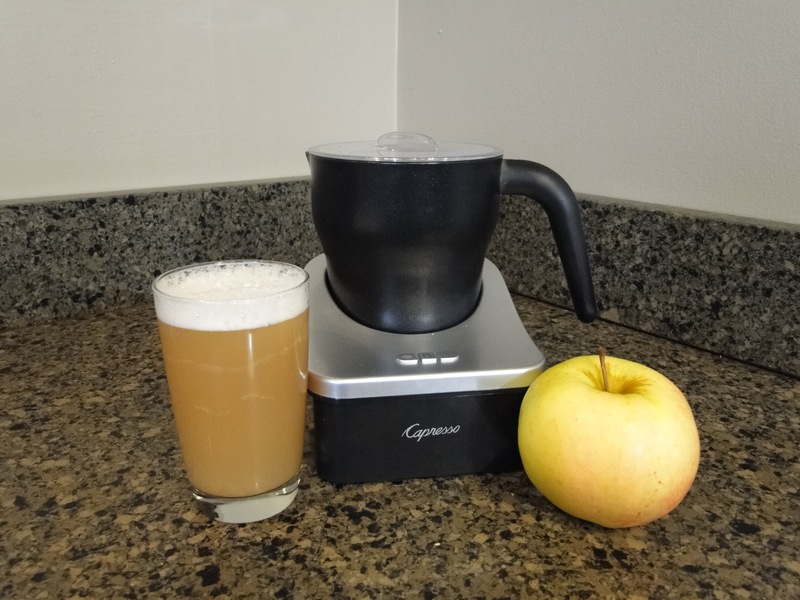 The Capresso H2O PRO heats water faster and more efficiently than a stovetop kettle. 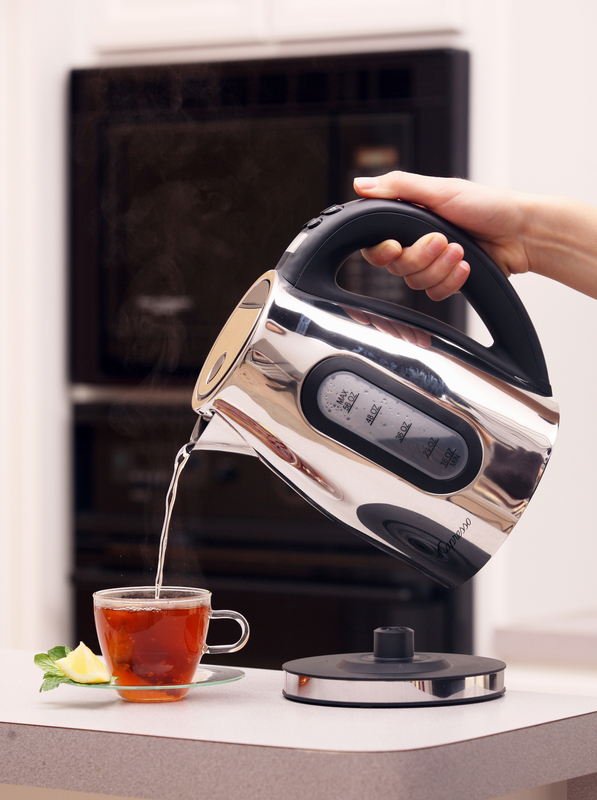 Features 11 separate variable temperature control settings from 110° F to 210° F, to brew any type of tea to perfection. 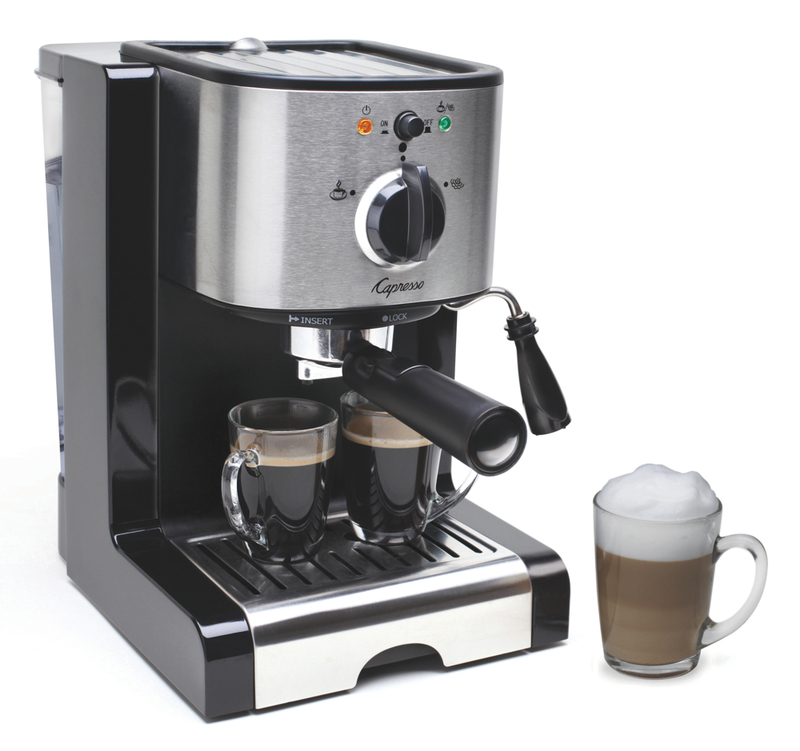 The EC100 Espresso & Cappuccino Machine creates classic espresso, creamy cappuccinos and luscious lattes. Works with either E.S.E. pre-packed espresso pods or pre-ground coffee. With its precision electronic timer and 17-position grind selector, the Capresso Burr Grinder delivers a perfect grind every time, for the freshest coffee taste and aroma. Visit www.capresso.com for more information. Share your Capresso holiday gift stories with us on our Facebook page. 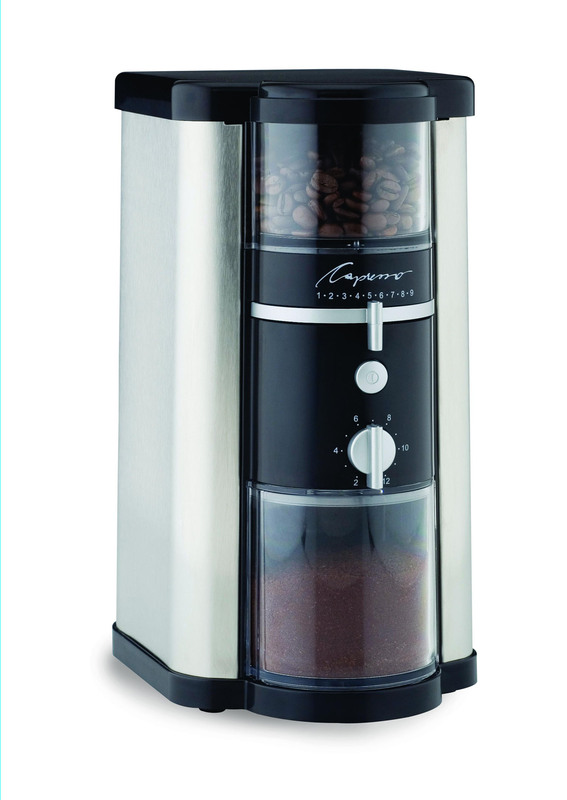 Capresso is hosting two giveaways, starting November 4 through November 21, 2011. 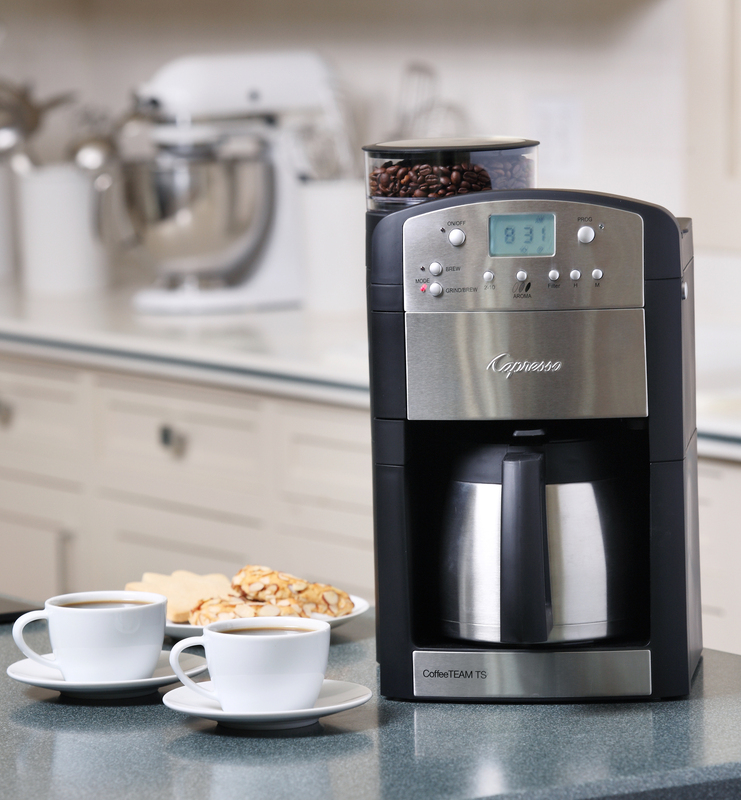 Enter to win a MG600 coffee maker on Facebook. 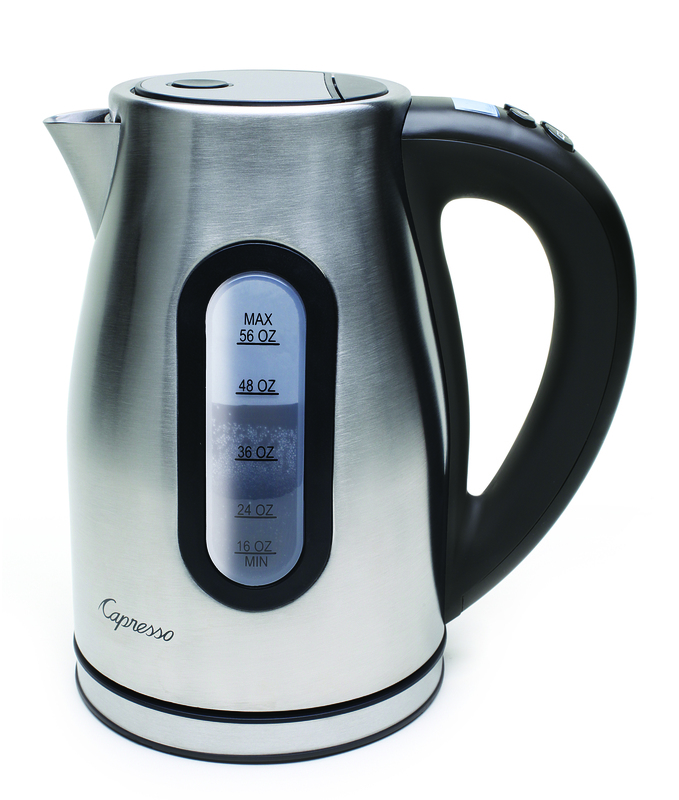 Follow us on Twitter, @CapressoTweets, to enter to win a H20 PRO Electric Water Kettle. 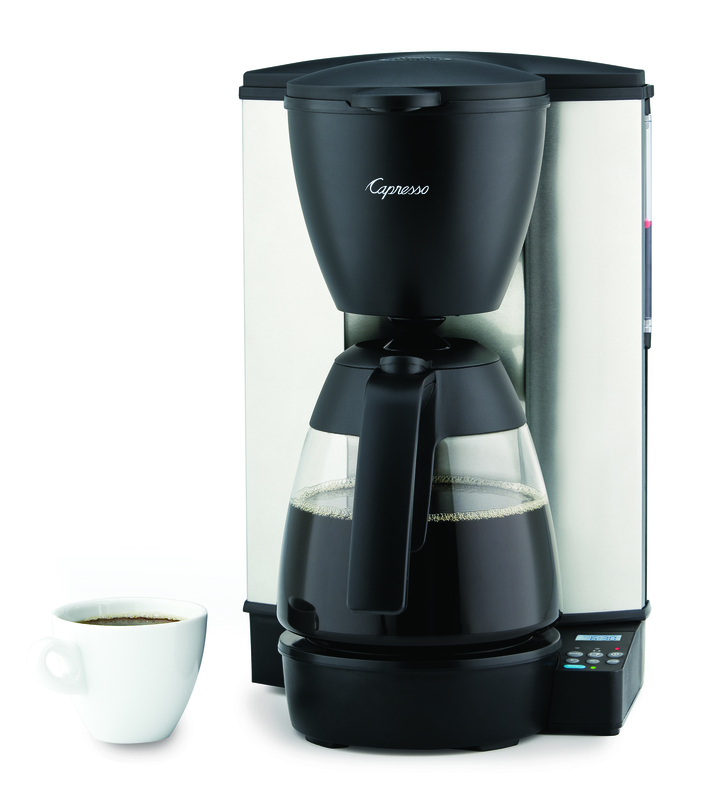 Jura Capresso, Inc. is sponsoring this Giveaway of one (1) MG600 coffee maker ($99.99 value). Binding Agreement. In order to enter the Giveaway, you must agree to these Official Rules. The Rules consist of: (i) the terms and conditions on this page; and (ii) the Entry Form. If you do not agree to the Rules, you are not eligible to participate in the Giveaway or to win any of the prizes. You agree that registration for this Giveaway and/or a submission of an entry in the Giveaway constitutes your agreement to these Rules. Eligibility. The Giveaway is open to legal residents of 50 United States or District of Columbia and aged 18 or older at the time of entry. Giveaway entry period begins November 4, 2011 at 9:30 a.m. CST and ends November 21, 2011 at 11:59 p.m. CST. How To Enter. To enter during the Giveaway entry period you must have a FACEBOOK© account. Search for “Capresso,” and then click “Like” to like the page. Click on the “Giveaway” tab below the profile picture and fill out the form. Submit a completed entry form by no later than 11:59 p.m. CST on November 21, 2011. Jura Capresso, Inc. accepts no responsibility for submissions delayed or lost, howsoever caused. Winner. Jura Capresso, Inc. will select and notify a winner via email within one (1) week of the end of the Giveaway. If the winner does not reply within thirty (30) days of notice, we reserve the right to select a new winner. This promotion is in no way sponsored, endorsed or administered by, or associated with, Facebook. You are providing your information to Capresso and not to Facebook. The information you provide will only be used for giveaway notification purposes. Jura Capresso, Inc. is sponsoring this Giveaway of one (1) H20 PRO Electric Water Kettle ($99.99 value). Binding Agreement. In order to enter the Giveaway, you must agree to the terms and conditions on this page. If you do not agree to the Rules, you are not eligible to participate in the Giveaway or to win any of the prizes. You agree that following @CapressoTweets on Twitter constitutes your agreement to these Rules. Eligibility. The Giveaway is open to all people that have followed @CapressoTweets on Twitter by giveaway end. Giveaway entry period begins November 4, 2011 at 12:00 p.m. CST and ends November 21, 2011 at 5:00 p.m. CST. How To Enter. To enter during the Giveaway entry period you must have a Twitter© account. Search for “CapressoTweets,” and then click “Follow” to follow the page. Jura Capresso, Inc. accepts no responsibility for submissions delayed or lost, howsoever caused. Winner. Jura Capresso, Inc. will select and notify a winner via Twitter within one (1) week of the end of the Giveaway. If the winner does not reply to email notification within thirty (30) days, Jura Capresso, Inc. reserves the right to select a new winner. This promotion is in no way sponsored, endorsed or administered by, or associated with Twitter. You are providing your information to Capresso and not to Twitter. The information you provide will only be used for giveaway notification and shipping purposes. Fall is here, and we love everything about this season. From pumpkin carving and apple picking to changing foliage and cool, crisp weather, fall is a wonderful time of year, especially when you have a glass of apple cider in hand. 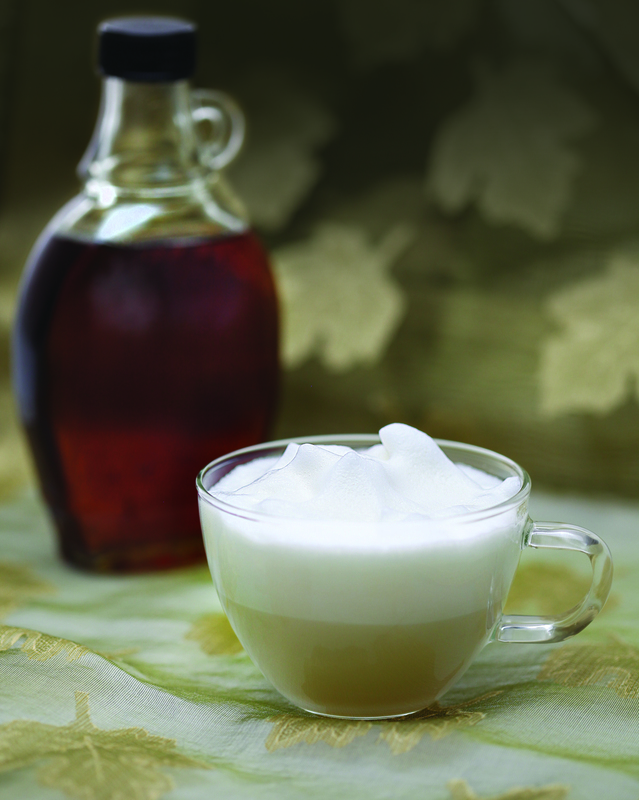 Enjoy the season with this easy Hot Caramel Cider recipe. Cheers! Place the heating disk in your Capresso froth PRO. Add the apple cider and caramel syrup to frothing pitcher. Place lid and press the Hot button. Wait for frother to automatically shut off. Serve and enjoy.